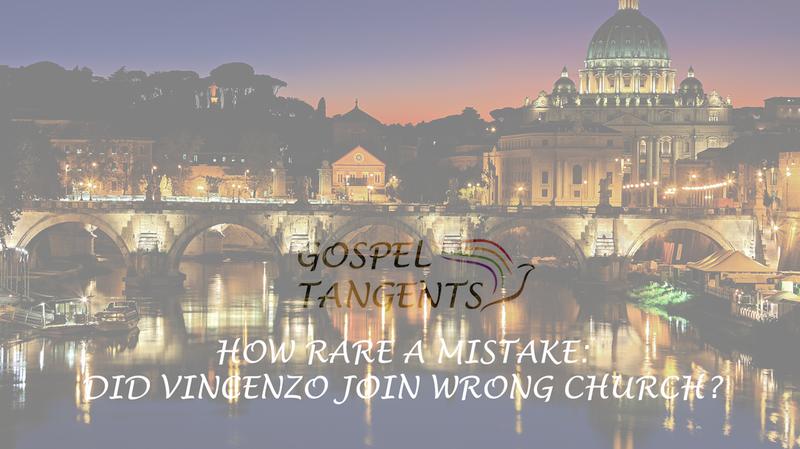 Home / Mormon Schisms / Bickertonites / How Rare a Mistake: Did Vincenzo Join Wrong Church? Vincenzo di Francesca found his damaged Book of Mormon in New York City — why would you assume it was in Italian? His English wasn’t fluent, but was good enough for him to translate a number of tracts from English to Italian, and his numerous 1930s-1940s letters to Widtsoe and others are in comprehensible if idiosyncratic English. Vincenzo di Francesca read the Book of Mormon in English. I need to invite John Hamer to comment on this. I’ve had a new conversation with Daniel Stone, and apparently Vincenzo went to a seminary in New York City, and found the book there. It was likely English, not Italian. I suppose it is possible it could have been from the Bickertonites, but it seems more likely a Brighamite BoM.